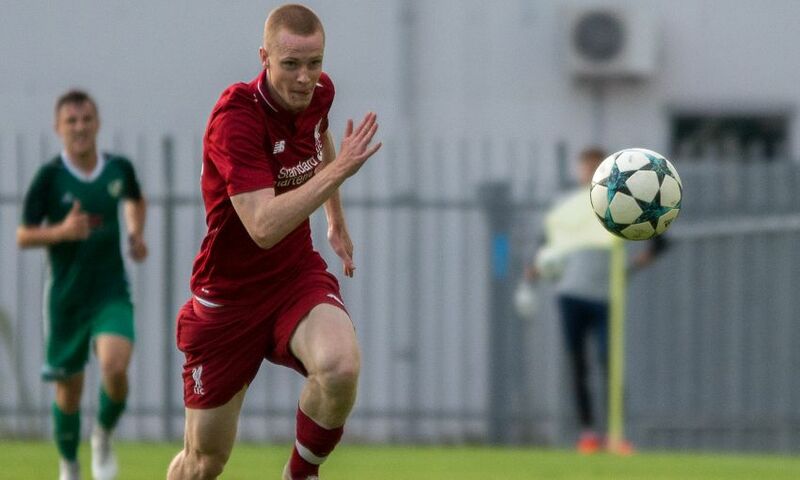 Glen McAuley was on the mark as Liverpool U23s completed their tour of Hungary with a 2-1 loss to Rapid Vienna on Saturday. The Ireland youth forward netted his second goal of pre-season and is looking sharp as he looks to make an impression at U23 level in 2018-19. Rapid Vienna U23s took a first-half lead, and after McAuley levelled the scores, the home side found a late winner following a set-piece. Reflecting on the outing, U23s boss Neil Critchley told Liverpoolfc.com: "Once again the facilities were top class and we have been treated very well by our friends out here in Hungary. "We conceded two goals to set-pieces which is very disappointing from our point of view and we will work on that. "Overall, we played some great football at times and there was some very positive play. "We created a lot of chances but didn't put them away, but I would be more worried if we weren't creating chances, so that sharpness will come."